The Ju 290 long-range bomber was a military development of the Junkers Ju 90, a four-engined airliner which had been in regular service with Deutsche Lufthansa since 1938. 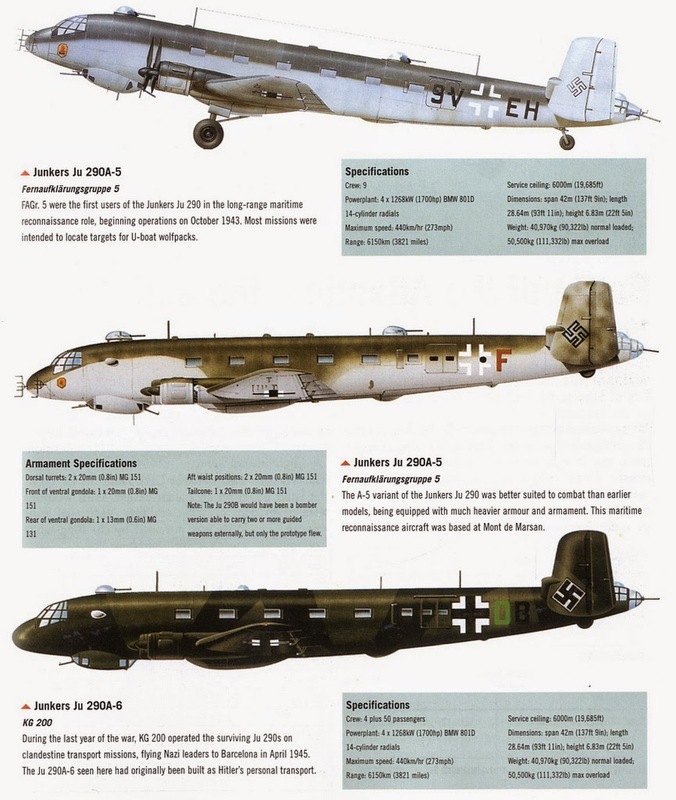 From the beginning of series manufacture of the Ju 290 and the maiden flight of the Ju 290 V1 prototype in July 1942, until production ceased in July 1944, a total of 48 machines had been built and delivered with a whole raft of various equipment fits depending upon each variant's intended operational role. The Junkers Ju 290A-7 was one of the most interesting versions of the A-series. Employed as a long-range bomber and reconnaissance machine against shipping targets, its most prominent external feature was the glazed gun position protruding from the nose. It also included significant improvements in the internal structure. With its four 1,850 hp BMW 9-801 D-2 engines, the A-7 had a maximum speed of 445 km/h (276 mph) together with a range varying from 6,800 km (4,222 miles) as a bomber, to 11,500 km (7,140 miles) when employed in the long-range reconnaissance role and fitted with additional fuel tanks. As a long-range anti-shipping weapon the A-7 was equipped with search radar and guidance systems. 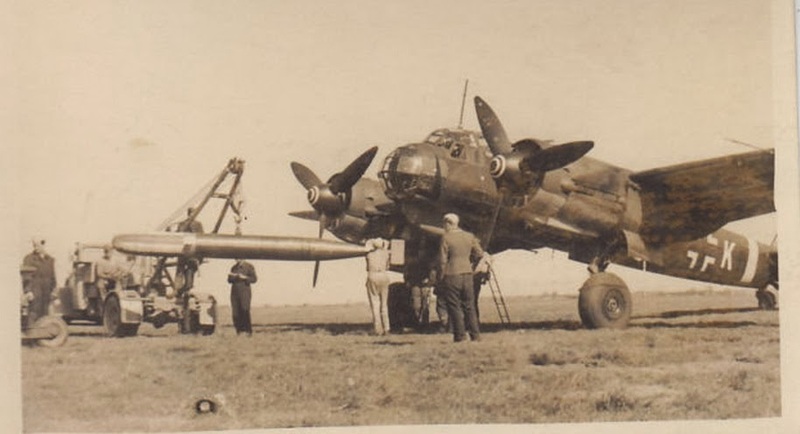 It was also fitted with ETC- 2000 weapons racks beneath the fuselage and wing outer sections to enable it to carry three Henschel Hs 293 remotely-controlled glide bombs. Defensive armament comprised eight weapons stations, each operated manually by members of the eight- to ten-man crew. A further development of A-7 was the Ju 290A-8. Also intended for the anti-shipping role, this too carried three Henschel Hs 293 glide bombs but featured increased defensive armament. The Ju 290B-1 was to have been a long-range bomber version with a strengthened fuselage structure and a take-off weight of 49,500 kg (109,000 Ib) when carrying a 4,500 kg (9,900 lb) bomb load. At an altitude of 5,500 m (18,000 ft) and a speed of 450 km/h (280 mph) the B-1’s estimated range was in the order of 5,600 km (3,475 miles). A planned further improvement of the Ju 290B-1 bomber was the Ju 290C. This would have had an even stronger fuselage and more powerful 1,850 hp BMW 9-801 engines. 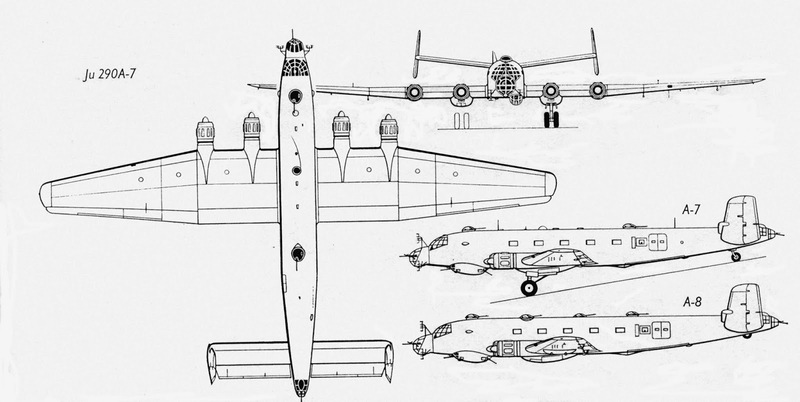 Additional projected versions of the Ju 290B-1 included a long-range reconnaissance variant and a heavy transport with a large, ventral loading ramp. The Ju 290D long-range bomber was an improved Ju 190C, as too was the Ju 290E night bomber project, which could carry an even heavier bomb load in its enlarged bomb-bay. 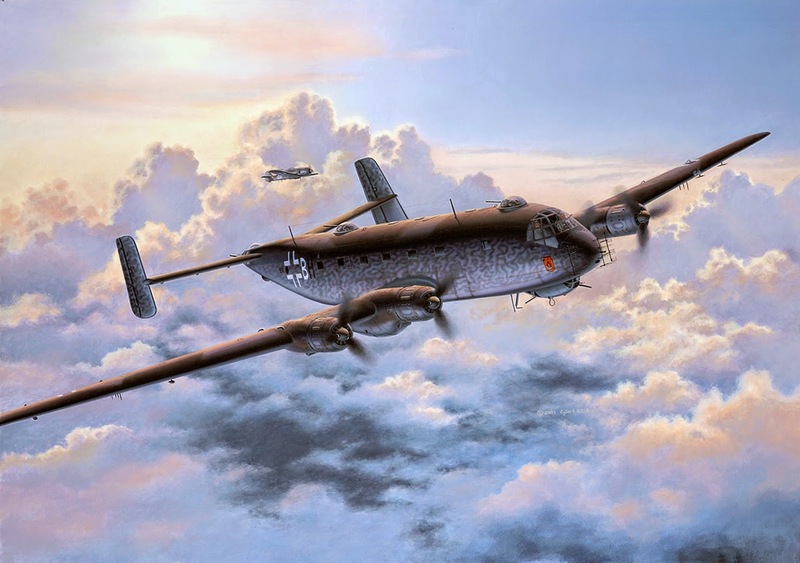 A special long-range reconnaissance group, FAGr 5 (Fernaufklärungsgruppe 5), had been formed on 1 July 1943 and during the late summer of 1943 three of the new Ju 290 A-2s were delivered to its 1 Staffel, which became operational at Mont-de-Marsan near Bordeaux on 15 October of that year. They flew their first operational missions in November 1943, shadowing Allied convoys in cooperation with U-boats, and often remaining airborne for up to 18 hours. Five Ju 290 A-3 aircraft with more powerful BMW 801D engines followed, as did five Ju 290 A-4 aircraft with improved dorsal turrets mounting 20 mm MG 151/20s. The Ju 290s were well suited to their patrol role and began replacing the Fw 200 Condors. An A-4, Works no. 0165, was experimentally equipped with attachments for FX 1400, Henschel Hs 293, and Hs 294 missiles, and fitted with FuG 203e radar; it was surrendered to the US after the war and flown across the Atlantic to the USA. In November 1943, a second Staffel was activated and, with a range of over 6,100 km (3,790 mi) the Ju 290s ranged far out over the Atlantic, relaying sightings of Allied convoys to U-boats. 11 Ju 290 A-5s with increased armour protection, 20 mm MG 151/20 cannons in place of the earlier waist-mounted machine guns, and self-sealing fuel tanks were delivered to FAGr 5 early in 1944, as were around 12 of the Ju 290 A-7 version; the A-7 could carry three Hs 293 glide bombs or Fritz X anti-ship missiles and featured a redesigned nose section which combined a 20 mm cannon installation with the FuG 200 radar aerial array. Towards the end of 1943, Admiral Dönitz demanded that the entire output of Ju 290s be made available for U-boat warfare. However, a mere 20 machines were assigned for this purpose. Even though both Hitler and Dönitz demanded an increase, the Luftwaffe General Staff declared it was unable to assign any more for naval reconnaissance purposes. The General Staff argued that there could be no increase in output so long as the Luftwaffe was not conceded "precedence in overall armaments". 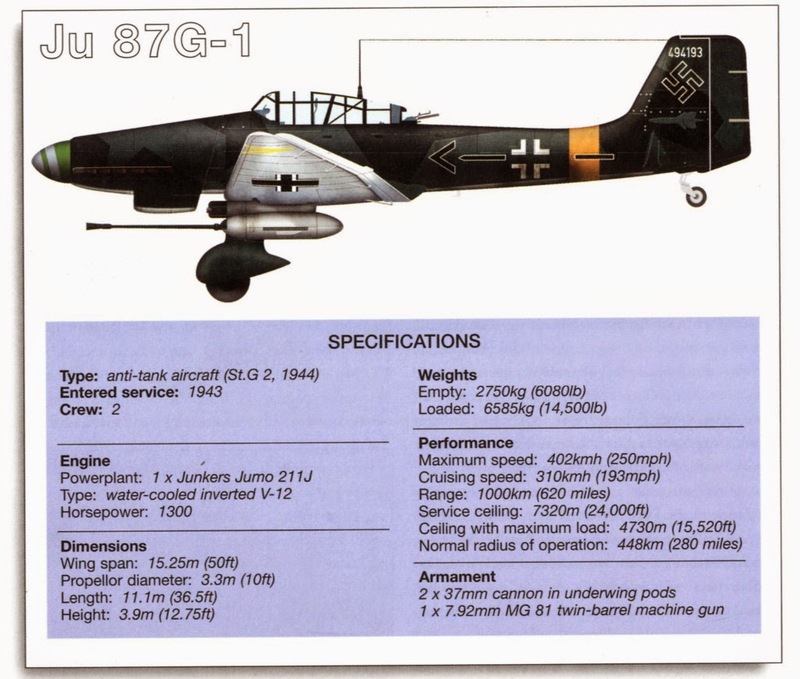 In the spring of 1944, after Albert Speer had taken over the direction of air armaments, the Luftwaffe High Command baldly announced that production of the Ju 290 was to be suspended despite it being urgently needed for maritime reconnaissance; suspending production meant that resources could instead be diverted to building fighter aircraft. At that point in time, Speer's position was weak and Hermann Göring was trying to find allies to help him strip Speer of his power, and the Luftwaffe was not prepared to offer the Navy more than "goodwill". Ju 290 A-5, works number 0178, D-AITR, Bayern of Luft Hansa flew to Barcelona on April 5 1945, piloted by captain Sluzalek. The aircraft suffered damage to its landing gear on landing and was repaired with parts brought from Germany by a Luft Hansa Fw 200. It remained in Spain because the Spanish Government ordered that regular Luft Hansa flights on route K22 be terminated from 21 April and was turned over to the Spanish authorities. Following the invasion of the Soviet Union in June 1941, plans were made to connect Germany and Japan by air using Luftwaffe aircraft modified for very long range flights. Commercial flights to the Far East by Luft Hansa were no longer possible, and it had become too dangerous for ships or U-boats to make the trip by sea. Field Marshal Erhard Milch authorized a study in to the feasibility of such direct flights. Various routes were considered, including departing from German-occupied Russia and Bulgaria. Nautsi, near Lake Inari in the north of Finland, was finally selected as the optimum starting point for a great circle route along the Arctic Ocean then across eastern Siberia, to refuel in Manchuria before completing the flight to Japan. In 1943, the Ju 290 was selected for the flights and tests began in February 1944 of a Ju 290 A-5 (works number 0170, KR+LA) loaded with 41 tonnes (45 tons) of fuel and cargo. Three Ju 290 A-9s (works numbers 0182, 0183 and 0185) were modified for long-range work at the Junkers factory in March 1943. The plan was eventually put on indefinite hold after the Japanese failed to agree on a course, as they did not want to provoke the Soviet Union by an overflight of any part of their Siberian territory, and the three aircraft were eventually transferred to KG 200. 0182 was lost in action in Russia, 0183 was wrecked at Travemünde, and 0185 was found to be unrepairable following a mission in Russia, all during 1944. The Japan flights were revived again in December 1944, mainly to transport Luftwaffe General Ulrich Kessler to Japan as a replacement for the German air attaché in Tokyo. Ju 290 A-3, no. 0163, was flown to Travemünde for the necessary modifications, but the work was delayed and it was decided to send Kessler aboard the submarine U-234 instead. The aircraft was destroyed on May 3 1945 as British troops arrived. Some sources claim that the trips to Japan actually took place, departing from Odessa and Mielec and landing in Manchuria. Bring me Proof! 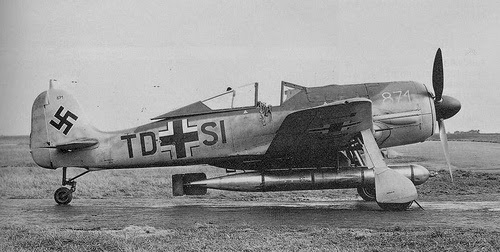 Erich Rudel was now recalled to Germany to form the first experimental anti-tank Stuka unit equipped with the 37mm cannon-armed Ju 87s, dubbed “Cannon Birds’’ by their crews. Rudel took the unit to the Crimea to help counter a Soviet amphibious landing on the Kuban peninsula. The Cannon Birds proved to be an outstanding success against Soviet landing craft bringing troops and supplies ashore, with Rudel alone claiming 70 destroyed. 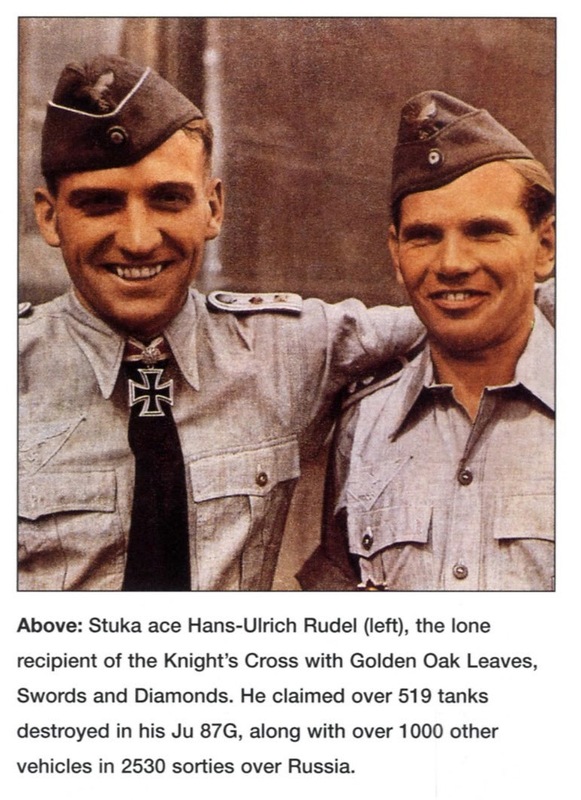 Personally awarded the Oak Leaves to his Knight’s Cross by a grateful Führer for his work in the Kuban, Rudel was now posted back to the Immelmann wing in charge of its Ju 87 G-1 anti-tank squadron, in time to lead it during the July 1943 Kursk Offensive. As expected, his squadron was in the thick of the action supporting II Waffen-SS Panzer Corps as it attacked on the southern axis of Operation Citadel. His Cannon Birds ranged ahead of the panzers, intercepting and destroying Soviet reserve tank columns moving to the front. Scores of tanks were claimed destroyed by Rudel and his wingmen, with the squadron commander alone claiming to have destroyed 12 T-34s on a single day. Experience taught the Stuka pilots to aim for vulnerable parts of the Soviet tanks, such as engine bays and turret roofs. The exhaust smoke of the Soviet tanks proved a useful aiming point for the Stuka gunners, and a hit against the engine often resulted in a catastrophic explosion. The Soviet practice of loading extra fuel drums on the rear of their tanks made them very vulnerable to Stuka cannon fire. To get a good shot at the T-34s, Rudel recommended dropping down to 15m (50ft) to give the Stuka pilot a good look at the target. Here the slow speed of the Stuka came into its own, because it gave the pilot plenty of time to lay his guns on target. These attacks proved devastating to the morale of Soviet tank columns and the infantry who rode into the battle on the rear decks of the T-34s. To counter the Stuka threat the Soviets started to move anti-aircraft guns close to their tank columns. In turn, Rudel began to have a pair of bomb- and machine-gun-armed Stukas circling overhead as his Cannon Birds lined up for their attacks. The supporting Stukas would strafe and bomb Soviet anti-aircraft batteries that attempted to open fire. They also provided early warning of the appearance of Soviet fighters that were starting to challenge German air superiority on the Eastern Front. In spite of this covering fire, Rudel’s aircraft routinely returned to base full of bullet holes. After Hitler’s Kursk Offensive stalled, the Soviets immediately opened a huge offensive against the northern wing of the German forces around Orel, opening a huge breach in the front. Rudel’s tank-killing Stukas were rushed northwards to help stabilize the situation and give ground reinforcements time to mobilize. In the midst of this chaos, Rudel’s aircraft was badly shot up, but he managed to make a forced landing behind German lines and return to the fray. Soviet offensives continued to require the close attention of the Immelmann wing, and Rudel was appointed to command its 3rd Group after his predecessor was killed in action. He had now flown some 1500 sorties and personally destroyed 60 Soviet tanks, earning him the Oak Leaves and Swords to his Knight’s Cross. Time after time, his Stukas saved the day during the Soviet winter offensive in the Ukraine, culminating in a decisive intervention during the Battle of Kirovograd in November 1943, when Rudel and his pilots blunted an attack by hundreds of T-34s. By now Rudel and his Stuka pilots had been turned into national heroes, featuring almost daily in Nazi propaganda broadcasts announcing more tank kills, desperate situations saved and medals won. 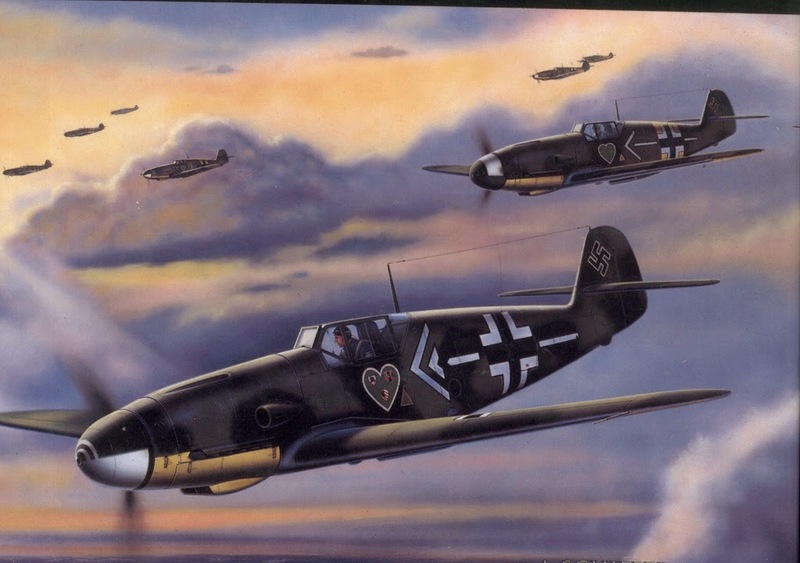 To the ordinary German soldiers, Rudel’s tank-killing Stukas were known as the “front fire brigade” because they were always called on to dampen down the most combustible sections of the front. 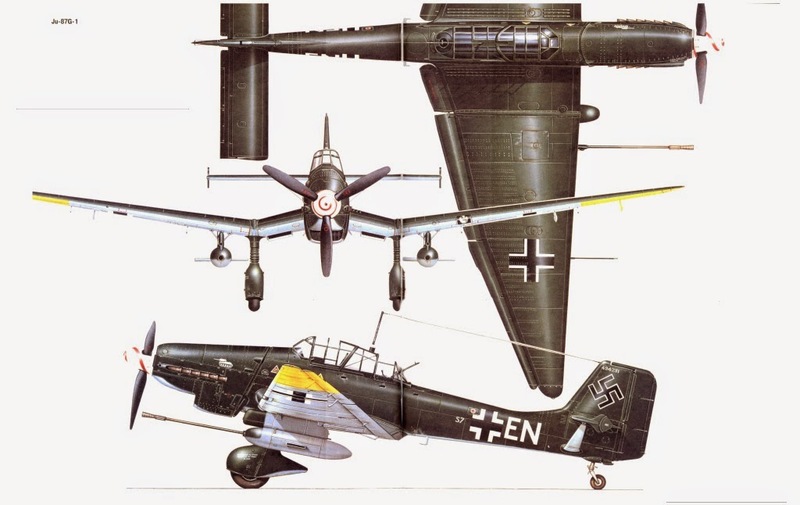 While other Stuka units had switched to flying the two-engine Henschel Hs 129 armed with a 75mm cannon, or ground-attack versions of the Focke-Wulf Fw 190, Rudel stuck with his trusty Ju 87. Rudel’s squadron operated from rudimentary forward air strips, and his leadership was instrumental in keeping his ground crews working in freezing weather to put damaged aircraft back in the air time and time again, with minimal spares, tools and facilities. 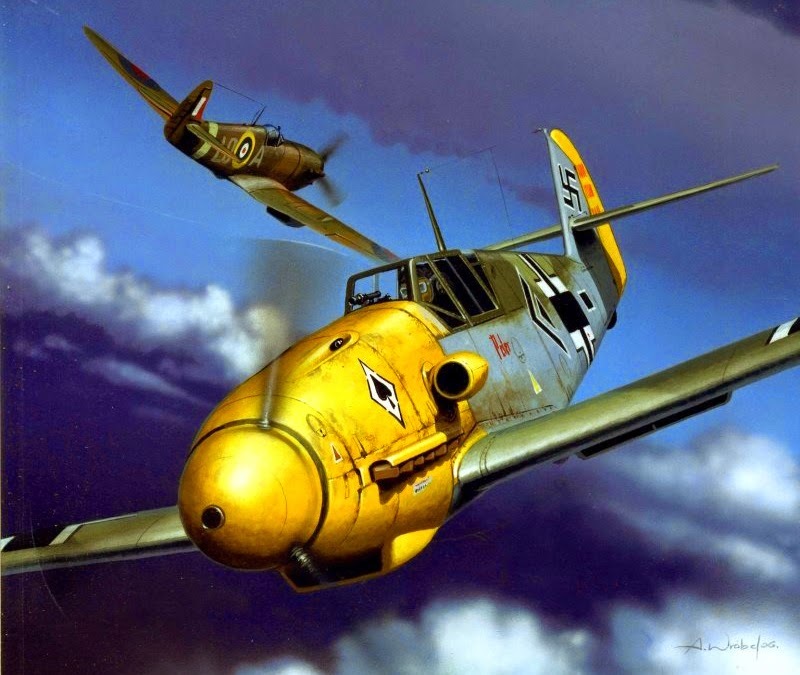 Once in the air, Rudel’s pilots followed him into attack after attack. He appeared fearless. Even when shot down over enemy territory, he somehow managed to escape and return to the cockpit of a Stuka. This incident followed a successful attack to destroy a bridge over the River Dnieper in March 1944. Twenty Soviet fighters swooped on his squadron, forcing one of Rudel’s pilots to land in territory held by the Red Army. Rudel landed to try to pick up his man, only to have his aircraft get stuck in mud. Russian soldiers captured Rudel and his two comrades. He swam a river and walked 50km (31 miles) in an escape bid. Two days later, he reached German lines and was soon back in the air. Tank killing with the G-1 model Stuka became a Rudel speciality, and by August 1944 he claimed his 320th tank kill. The collapse of the German Army Group Centre in July 1944 brought the Immelmann wing northwards to the Courland peninsula, where it was thrown into one desperate battle after another. In October Rudel was promoted lieutenant-colonel and given command of his beloved Immelmann wing. There was little time to bask in the glory, and he had to lead his fliers to Hungary to help Waffen-SS panzer divisions blast a corridor through to 100,000 German troops besieged in Budapest. Soviet fighters were now swarming over the Eastern Front, making it highly dangerous for the lumbering Cannon Birds to go into action. In the space of a few days Rudel was shot down twice, but returned to the cockpit of a Stuka with his leg in a plaster cast. With more than 2400 missions in his log book and 463 tank kills claimed, Hitler made him the only recipient of the Knight’s Cross with Golden Oak Leaves with Swords and Diamonds in January 1945. Hitler tried to ground Germany’s most highly decorated soldier, but Rudel insisted on returning to combat duty leading his wing. Russian tanks were now advancing into Silesia, and Rudel’s wing was transferred to try to contain the situation. Flying from German soil, Rudel’s Stukas were able to rescue several German units cut off trying to retreat westwards to safety. When the Soviets pushed a bridgehead over the River Oder in February 1945, Rudel threw his Stukas into action. He alone destroyed four Soviet tanks, before having an aircraft shot out from under him. After struggling back to base, Rudel took off again to continue knocking out more than a dozen Josef Stalin tanks. In the midst of another attack run his aircraft was blown apart by Soviet flak. Rudel woke up in a field hospital to find out his left leg had been amputated. Despite being told his flying days were finished, Germany’s top Stuka pilot had other ideas. Only six weeks later he was back flying from bases in Czechoslovakia. When Germany surrendered in May, he led the remnants of his Immelmann wing on a last flight to American-controlled airfields in southern Germany. Rudel was instrumental in developing the tactics of using cannon-armed aircraft in the anti-tank role. The exploits of his Stukas during the Battle of Kursk was the inspiration used by the United States Air Force in designing the A-10 Warthog tank-busting aircraft at the height of the Cold War, when there was a requirement to counter massed divisions of Soviet tanks in central Europe. This aircraft was built around a multi-barrelled cannon specifically to counter enemy tanks. As a leader of warriors, Rudel was unsurpassed. He led from the front and set a pace that few could equal. In the course of 2530 missions, Rudel personally destroyed 517 Soviet tanks – the equivalent of five Soviet tank brigades. This was on top of a battleship, cruiser, 70 landing craft, 800 trucks, 150 artillery pieces, as well as numerous bunkers, bridges and supply dumps. He also managed to achieve nine confirmed air-to-air kills. Perhaps more striking was the fact that Rudel was shot down 30 times by ground fire, and wounded five times. On top of this, he successfully rescued six of his pilots who had been shot down behind enemy lines. This was the mark of the man, who ranked leading his men into battle as the highest duty of any soldier. The most famous fighter of the German Luftwaffe, produced in greater numbers (in excess of 30,000) than any other fighter aircraft. Created by Willy Messerschmitt and his chief engineer, Walter Rethel, the Bf 109 was the world’s most advanced fighter at the time of its first flight in September 1935. 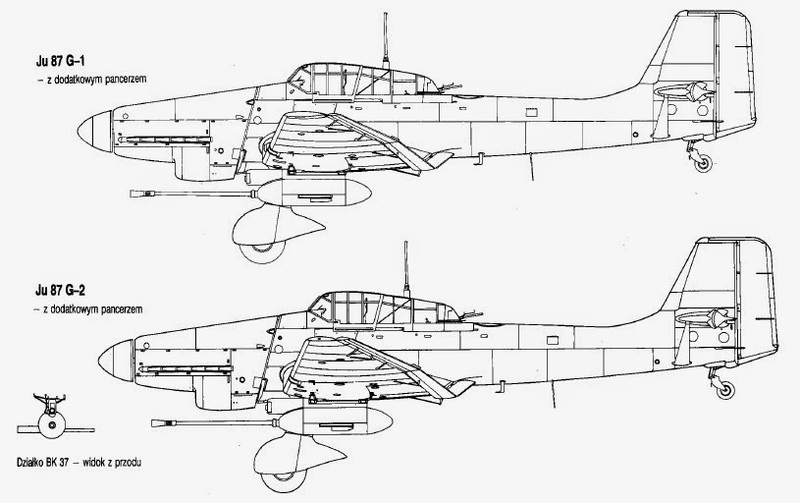 A development of the very successful four-place touring Bf 108, the Bf 109 featured retractable landing gear, an enclosed cockpit, all-metal stressed-skin construction, heavy armament for the time, slotted trailing-edge flaps, and automatic Handley Page leading-edge slots. Despite the pressures for ever-increasing production, the Bf 109 went through a long series of modifications, the last production version being the Bf 109K. In the process, horsepower was increased from the prototype’s 695-hp Rolls- Royce Merlin to the 2,030-hp Daimler-Benz DB 605 engine in the Bf 109K. The aircraft served in every theater in which the Germans fought and was used by many nations allied to Germany. In the early months of the war, it reigned supreme over the battlefield until it met its match in the Supermarine Spitfire. As the war progressed and new Allied fighters such as the Soviet Yak-3 and U.S. North American P-51 were introduced, it became increasingly difficult for the Bf 109 to compete on equal terms. Nevertheless, in the hands of a capable pilot it remained a dangerous weapon until the end of the war. Versions of the Bf 109 were produced in Czechoslovakia and Spain, and it fought again in the 1948 Israeli War of Independence. Although it was the favorite mount of many top German aces, Allied pilots who flew test versions had mixed feelings. The cockpit was cramped, with visibility limited by the heavy frames of the canopy. By Allied standards, the control harmony was poor, a problem that was amplified by the inexplicable lack of a rudder-trimming device. At cruising speeds, the Bf 109 was generally considered delightful to fly, but its controls became very heavy as speed increased. The most notorious aspect of the Bf 109 was its appalling takeoff characteristics. An estimated 3,000 aircraft were lost during takeoffs in which the pilot lost control. Landing characteristics were also challenging, but the a skilled pilot could land in a relatively short distance, using heavy braking once the tailwheel was firmly planted on the ground.